This fashionable café has interior or general goods designed by artists who has some relations with Inokuma Genichiro. 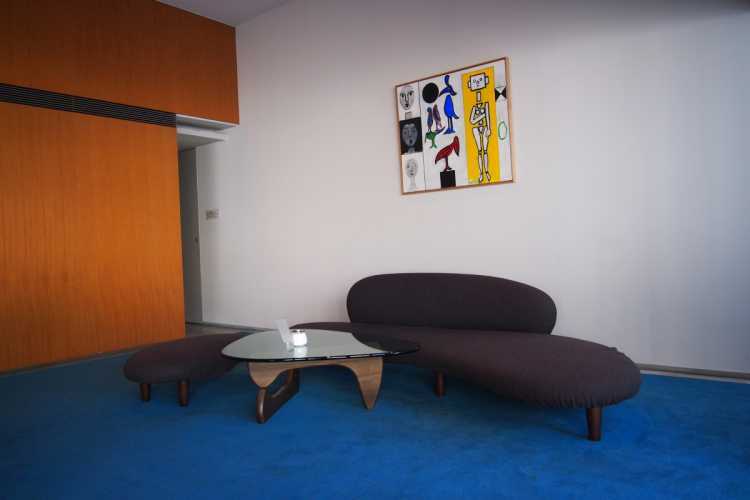 Specially, Isamu Noguchi's deigned interior in the cafe will make the fans happy. The most popular lunch menu. 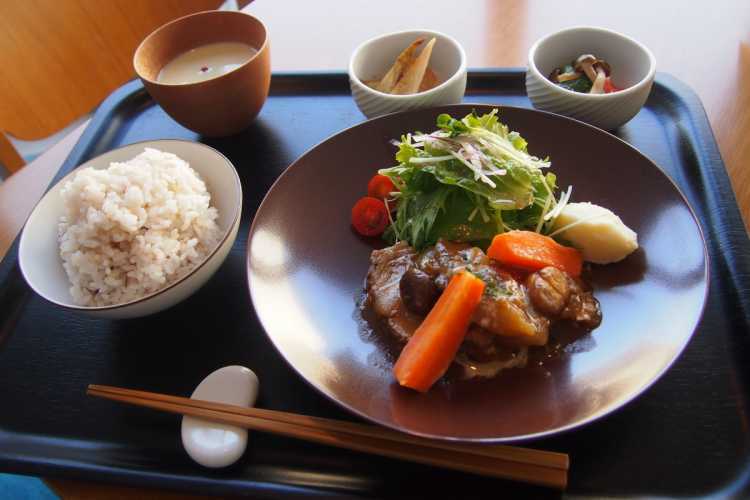 Its plates and cuisine make a unity of design for the healthy lunch.